Veteran journalist Bob has been writing for over 30 years and has written 25 sports books, including authorized biographies of Johnny Bower, Desmond Howard, Ted Lindsay, Nicklas Lidstrom, and Gordie Howe. He is a member of the Hockey News' panel to select the 100 Greatest NHL players and an honorary member of the Elias Sports Bureau. He taught a course on the history of sports at the University of Windsor's Elder College. Bob has been the recipient of four awards from the Professional Hockey Writers Association in 2006 and 2007. 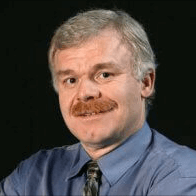 He has worked as a Sports Columnist for Postmedia, appeared as a guest on several radio stations, and was the Vice President of the Society For International Hockey Research in Ontario. Bob's expert content has been featured in fungosports.com, detroitredwings.com, hockeydebates.com, and countless others. Notably, Bob has covered two Olympic Games, six Stanley Cup finals, one Super Bowl, three NBA finals, one World Cup, one NCAA Final Four, three Memorial Cups, and one NCAA Frozen Four. Should You Buy Low on Eagles’ Super Bowl 53 Odds? Le’Veon Bell to Patriots? Odds the RB is Traded and Where? Can Chiefs’ Mahomes Break Single-Season Passing TD Record? Will a Leaf Win the Hart Trophy for the 1st Time Since 1955?